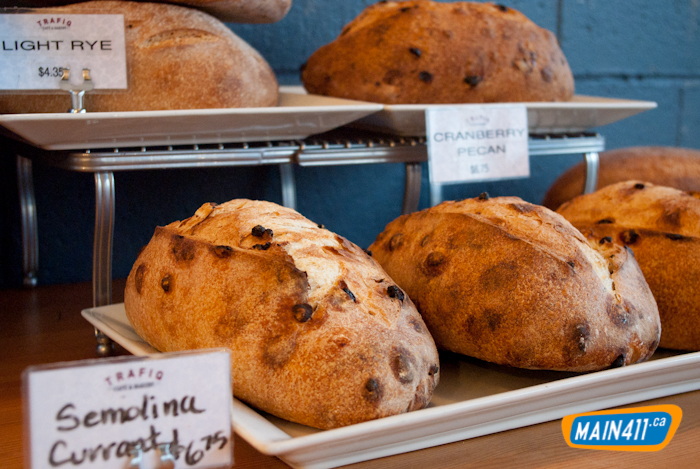 Trafiq bakes their own breads for all their sandwiches and soups. We will be posting a video gallery of them making this cranberry pecan bread soon! Everything at Trafiq on Main is fresh and made in the back daily. I get my coffee and croissants here too.